CCG teachers, coaches, and administrators are some of the brightest and passionate people we know in the business. Each staff member is hired for his or her unique talents and abilities and each member of our team plays an important role in our CCG team of people working for you. We look for credentials and hire for character. Our employees represent many nationalities, cultures and ages. We have local, regional, national and international competition experience. Our highest level of instructors have trained with USA Gymnastics National Staff at the National Training Center in Texas, Las Vegas, and at Regional and National Congresses; some have competed in venues around the world; served our country; volunteered within our community and schools; earned college degrees, teaching credentials, masters degrees and doctorate degrees; in our industry; spoke at regional and national conferences; and been honored at civic events. Each staff member you meet at CCG will be vastly different and unique, but we have one thing in common… we have come together in one great place, called Central Coast Gymnastics Sports Center located right here in the heart of San Luis Obispo, to accomplish a shared philosophy of inspiring children to grow up strong, healthy, happy, and achieve their dreams. Mimi became involved in the sport of gymnastics at the age of 5 years old in 1972 as a gymnast, then started competitive gymnastics at the age of 8 until the age of 22. She competed up to the Class 1 Level, then through college (earning 10 All-American Awards). 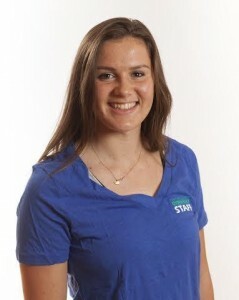 Mimi started her coaching career at Clovis Academy while she trained there around the age of 16 in the summer time. She coached mostly in the boys program until she moved to go to Cal Poly in San Luis Obispo in 1986. 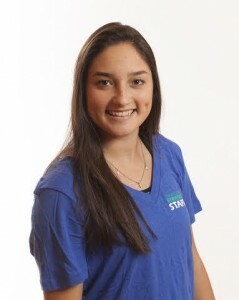 While coaching at various local clubs, she began her dream of opening an amazing gymnastic training facility that would connect Southern and Northern California gymnastic communities. In 1991, Mimi opened a very small gymnastics program (1,000 sq. feet) with about 10 students in the beginning and built it to what has now grown upwards of 800+ students in the building her and her husband Andy bought in 2004. Along with the most amazing staff, they have created a fantastic gymnastics sports training center of 16,000 sq. feet fitness & fun in San Luis Obispo, California. It has been a wonderful journey, one I wouldn’t change one second of. Mimi is currently directing the Preschool Program with Assistant Preschool Director Casey Hoover. We are both enjoying our passion and expressing our creativity working with the Preschool Program! Mimi and her wonderful husband Andy, have been happily married since June 22, 1996, and they have a beautiful little girl, Maddie who was born in April 2006! Come on down to CCG, we would love to meet you. My favorite colors are blue & green. I love to eat fresh fish, grow my own veggies, and share them with everyone. I absolutely love to garden, fish, and scuba dive. Collect treasures from the beach and be in the gym every second I can. I love our beautiful area, the air and warm sun. I am definitely very fortunate to live and breath on the Central Coast…………with my wonderful family at home and at CCG! Hi! 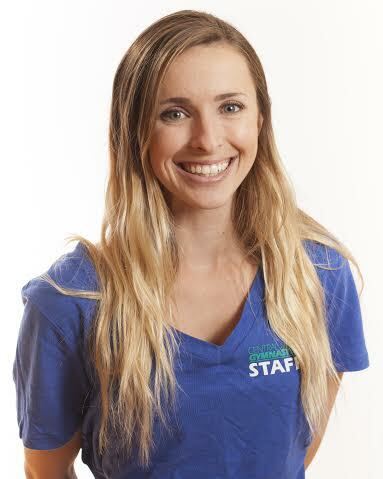 My name is Danielle and I am graduated Cal Poly in 2016 with a Bachelor of Science in Kinesiology, where I was a member of the Cal Poly Stunt Team. I grew up in Sonoma County and was a gymnast and then a competitive cheerleader for about 10 years. I started teaching gymnastics when I was 17 years old and I absolutely love to teach! I enjoy being in a job that allows me the opportunity to teach children daily and then dive into my position of Operations Manager as of January 2019. Our high-traffic Gymnastics Facilities to bring excellent time management skills and a proven track record of setting and meeting ambitious goals for CCG . I am looking forward to creating an environment at CCG with material resources that help us efficiently communicate with our customers on a daily basis and to coordinate with other departments on time-sensitive projects and budget planning and implementing. I also enjoy mentoring our staff in to leaders and creating an environment where they can develop and grow. 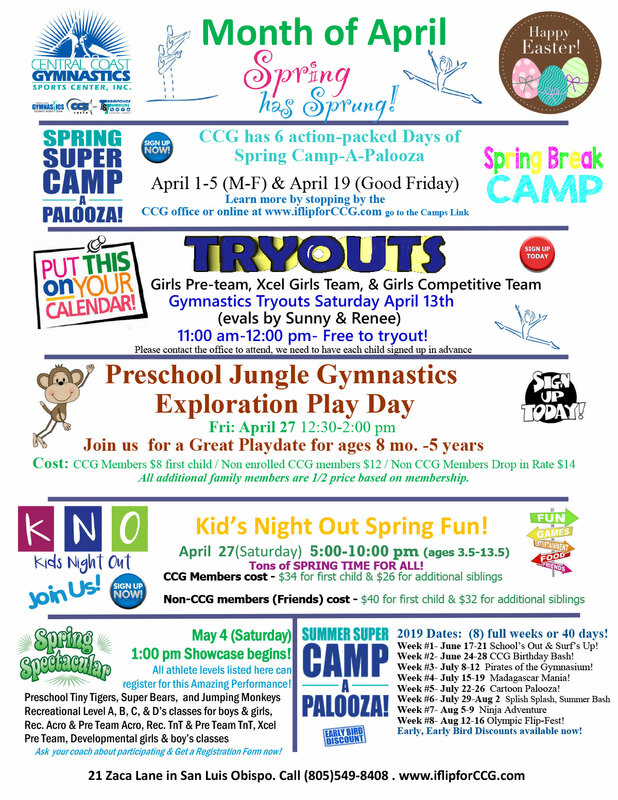 Let’s book a FUNtastic birthday party for your child, sign your child up for one of our amazing camps, or join our Kids Night Out monthly Parties at CCG! I am here to help! 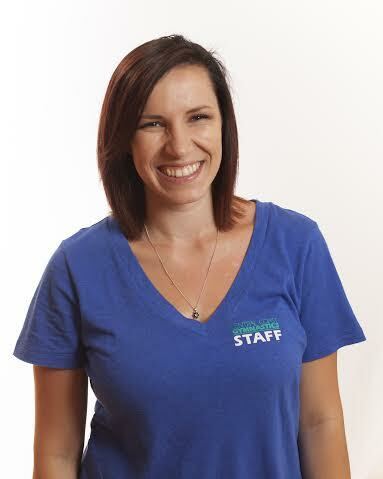 Hello, I’m Shannon Merritt and I am the Payroll Specialist here at Central Coast Gymnastics Sports Center. My love for gymnastics started when I saw Nadia Comaneci win the All Around Gold Medal in the 1976 Olympics. I was 10 years old then and began taking gymnastics classes. I competed for my Jr. High and High School in Clovis, CA. At age 16 I began coaching at Clovis and I began judging at age 18. I attended Cal Poly and received a Bachelor of Science degree in Physical Education with a concentration in teaching. I worked as the head coach of Atascadero Gymnastics for six years while I attended college. I had my first two children here in SLO and then my husband joined the Air Force after college. We moved to New Mexico where I worked as a head coach for a local gym. I obtained my Masters Degree in Public Administration and I became a level 10 judge. Our family was transferred to the island of Guam where I opened my own recreational gymnastics program, continued to judge gymnastics, and got a great tan! Our next adventure was a 3-year stay in England. I worked as a coach and a choreographer for an optional team there and passed my International Gymnastics Judging Exam. I had the wonderful opportunity to judge at the international level. Our military adventure ended in 2003 and we came back to the beautiful SLO. 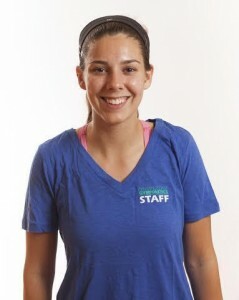 I started working at CCG in July of 2003 as the gym manager and girl’s optional coach. After more than 20 years of coaching and seeing many different gymnastics programs, I am thrilled to be working in the positive and fun environment at CCG. My hope for each of our gymnasts is that they will gain self confidence and responsibility, learn to work hard and enjoy physical activity, and take pride in themselves for their effort and achievement in the challenging sport of gymnastics, acrobatic gymnastics, cheer, dance, and all the other programs CCG offers. I really enjoy the payroll aspect and taking care of the many wonderful employee’s at CCG! Hi! I’m Sophie and I’m the Office Manager & HR Director here at CCG! I started here in February of 2014 and absolutely love it! I enjoy working with the fun, upbeat, and outgoing crew here at CCG and couldn’t ask for a better team! I was originally born in Oregon, then my family moved to Austin, Texas, but came back and I was mainly raised here in California up in Modesto. I moved to SLO to attend Cal Poly, eventually graduating in 2005 with my Bachelor of Science in Food & Nutrition, with a concentration in Nutrition Science. 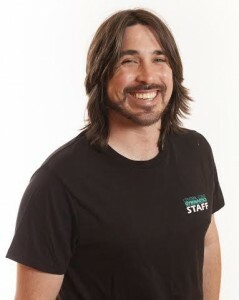 In my spare time, I enjoy hiking, BBQing & cooking, trying and learning about new foods, and teaching my cat tricks! Some fun facts about me are that I speak Laotian fluently, I was the first in my immediate family to be born in the U.S., and I have trained my cat to walk on a leash, sit, kiss, shake, stay, and use the human toilet. 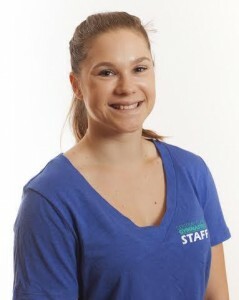 My name is Aly and I have been teaching Cheer, Tumbling, and Gymnastics here at Central Coast Gymnastics since 2006!! I also coached from 2004-2006 at the gym I went to in Los Alamitos, CA. I did gymnastics and tumbling for 11 years and I was also a Competitive Cheerleader for 5 years. My high school, Los Alamitos High School won multiple National Championships. Since I have many years of tumbling under my belt, I can do back handsprings, aerials, tucks, layouts, and had started working on my full way back when. Here at CCG, I am the Director of Central Coast Elite, our competitive cheer program. We have 3 teams with athletes ranging from 7-17 years old. I also coach tumbling classes, and a Hot Tots class. You will also find me in the office some days, and I can answer any questions you may have! I graduated from Cal Poly in June 2009 from Liberal Studies and got my Elementary School Teaching Credential at that time as well. In my spare time I enjoy traveling, hanging out with my girlfriends, wine tasting, working out, watching movies, and going to the beach. Every day I come to work, I look forward to seeing all of the excited and happy children who love to do cheerleading and gymnastics. I love working with kids and seeing their smiles on their faces, ready to learn and improve. Valentino started his sports career in judo at the age of 13. Even though he was advancing very fast in judo he was fascinated from the acrobatics he could observe through the window of the gym located just next door. One summer, after overcoming most of his older judo team members, he decided to try the sports acrobatics program. Valentino advanced in several years to the master level and defended the title of “Master of Sports of Acrobatics.” He competed through college in competitive sports acrobatics, producing several top level national team members and masters of acrobatics athletes as their competitive partner. Valentino graduated a 4-year mechanical engineering school, receiving a diploma for mechanics, draftsman, fitter and turner. Valentino continued his education and attended the National Sports Academy in Sofia, Bulgaria where he graduated with a dual Masters degree and diploma in Sports Acrobatic Training and Physical Education teaching. Valentino immigrated to South Africa in 1996, where he and his friend were the first acrobatic coaches from Bulgaria. There he coached sports acrobatics, tumbling and double mini trampoline, claiming several national and international titles with his athletes. Around 70% of the South African Acrobatics National Team at that time were coached by Valentino in Johannesburg and Pretoria. For his contribution to the international popularity and mastery of Sport Acrobatics, Valentino was awarded the title “Honorable Coach” from the Bulgarian Acrobatics Federation. Valentino’s next stops were Australia and California, USA. Valentino lived and coached most of his stay in the US in California, having the unique opportunity to work and learn to coach Girls Artistic Gymnastics from some of the best clubs and coaches in the industry. Valentino enjoys working with all levels of gymnastics. He has numerous State and Regional titles with his athletes in Girls Artistic Gymnastics and T&T. Some of his athletes he coached were Bulgarian, South African National team members, claiming medals at European and World Championships in Acro. 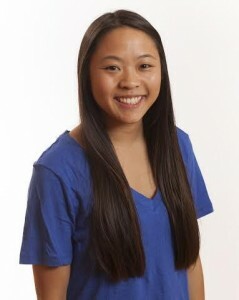 In the US, Valentino assistant coached Elite gymnasts Tabitha Yim, Alyse Ishino, and Ashley Jenkins, all National Team members. Alyse Ishino was 2004 Olympics alternate. Many of the athletes he coached attended highly ranked universities on a scholarship. 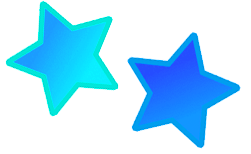 Valentino is happily married to his wife Sioux and has two daughters, Nina, born 6/6/06, and Luna, born 5/23/13. Sunny was born in Charleston, South Carolina and came to California when she was six. She moved to the Central Coast the summer of 2014 from Bakersfield, CA. Some of Sunny’s interests are working out, running on the beach, traveling, dancing, and choreographing. She loves seafood and trying new things. Sunny started participating in gymnastics as a young girl and was proficient through level five. She then got an interest in competitive cheerleading. She competed until she was 19 years old and was on a level five squad. 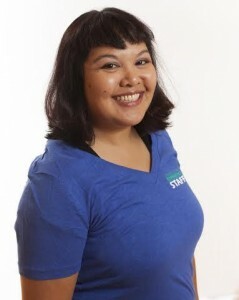 Sunny has been coaching gymnastics since she was 15 years old, when she was offered a job by a local recreational program and excitedly took it. After high school she went to Bakersfield College and also kept working in the gymnastics field. 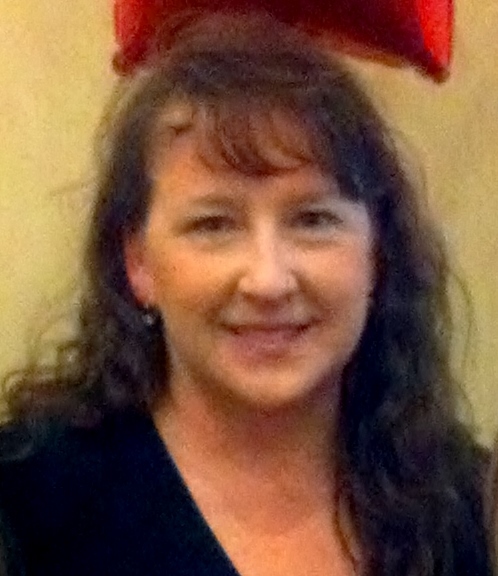 She loves coaching preschool aged children and is credentialed in Early Childhood Education. She’s attended many National Cheerleading Competitions as both an athlete and a coach. 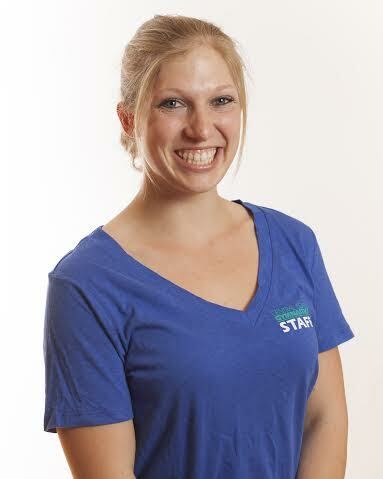 She is a certified USAG professional coach with over 20 years of experience. 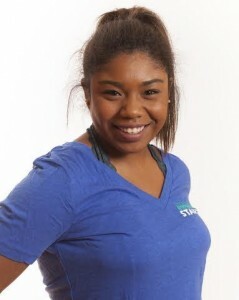 She has attended many gymnastics sectional and state meets and brought home many first place medals and trophies. Sunny has a passion for her students, her sport, and the work she does with her teams. Always striving for performance excellence on the team and individual levels, her dedication to the safety and well-being of her students is paramount. Sunny is both a coach and mentor, in every sense of of the words. Sunny has built many lifetime relationships with her athletes and families. I competed gymnastics for about 10 years, and achieved Level 9. I’ve been coaching for about 3 years. I have 5 brothers and 1 sister; most of us either do or coach gymnastics. We hail from the redwoods of beautiful Santa Cruz, CA. I moved to SLO in 2011 to study agriculture at Cal Poly. I moved to SLO from Lancaster, CA after graduating High School. I have been coaching here at CCG since 2012. Currently I teach A/B Boys, Cirque, Rec Acrobatics, Pre-Team and Acrobatics and I am the Head Coach of our Acrobatics Team. I was an Elite Mixed Pair acrobat and competed/performed here at Central Coast Gymnastics for 3 years! Hi! My name is Danielle and I am graduated Cal Poly in 2016 with a Bachelor of Science in Kinesiology, where I was a member of the Cal Poly Stunt Team. I grew up in Sonoma County and was a gymnast and then a competitive cheerleader for about 10 years. I started teaching gymnastics when I was 17 years old and I absolutely love to teach! Hi! I’m Lo! I’m the Birthday Director here at CCG and I love every minute of it! In addition to that, I also coach Preschool, Parent Participation, Girls Rec, and RecAbilities classes here! I love seeing all the smiling faces of the tiny humans every day that I walk in the front door! I am originally from Vacaville, a smallish town in Northern California (about halfway between Sacramento and San Francisco), where I played volleyball, both high school Varsity and club, for 9 years. Starting in high school, I began coaching the elementary and middle school teams, and the developmental teams for my volleyball club. That’s where I fell in love with coaching and seeing all my athletes progress and develop a passion for what they were doing. After graduation, I continued coaching and also starting working at a daycare, and that’s where I fell in love with working with tiny humans! I moved here to SLO to begin at Cal Poly in 2012, and I have hardly been able to leave since! I’m currently a 4th year at Cal Poly, graduating in 2017 with a Bachelor of Science in Microbiology with an emphasis on Biotechnology (it’s a mouthful, I know…). Academically, my areas of interest are wine and viticulture, food science, sanitary microbiology, and immunology. When I’m not here at the gym, I love running, hiking all the beautiful mountains in SLO, line dancing, baking, wine tasting, watching (lots of) Netflix, rock climbing, and reading! I’m so thankful and happy to be here at CCG and couldn’t ask for a more rewarding or welcoming place to work! 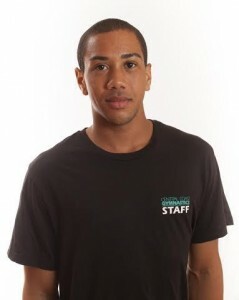 Hi my name is Josh and I am the T&T Director at CCG. I have been involved in the sport of gymnastics, trampoline and tumbling for over 15 years! I started a recreational tumbling class at the age of 9 and competed in mens gymnastics all the way through high school reaching level 10. I’ve been coaching since the age of 16 and have coached everything from rec and team girls, boys and T&T to cheerleading and circus classes as well. T&T and boys team are what I enjoy the most! On a personal note, I am the oldest of 6 kids in my family, I absolutely LOVE the central coast area and spend a lot of time at the beach, hiking or playing sports. Hello! My name is Anthony! I am originally from the Bay Area, but my family and I have been living on the Central Coast now for roughly 17 years. From as far back as I can remember, I’ve wanted to become a teacher. Not just with regards to academics, but in any avenue of life. I have had a passion for helping others understand and learn thing which they didn’t before. I honestly owe this dedication to my younger sister who was my first student. Whether it was teaching her how to shoot a basketball, the basics of reading and math, or even tying her shoes, my sister instilled a love of teaching in me that blossomed throughout my teenage years. My love and dedication to sports throughout my teenage years. My love and dedication to sports throughout my younger years has also led me down a teacher path – the path of a coach. Throughout my life I have participated in, and coached a very eclectic array of sports. I played basketball and tennis competitively up through high school and still try to play on the weekend. Growing up I also loved Taekwondo and participated in it for over 10 years. After high school my years as an athlete declined and my coaching career really took off. Throughout my most recent years I have picked up coaching gymnastics and Taekwondo. While I was attending CSUB and working on my History and Physical Education degrees, I worked at American Kids Sports Center. During my 2 years at AKSC I taught gymnastics and was also the assistant manager of the Taekwondo Department whose competition team qualified for the Junior Olympics and actually had 2 kids win gold medals! All in all I love being back home in the Central Coast and love what I do. I couldn’t ask for a more rewarding and enjoyable job. Hello! I’m Casey and I’ve been a gymnastics coach since 2014! I danced for 11 years growing up and also practiced martial arts and colorguard. However, gymnastics has truly stolen my heart and I have found a passion in teaching this exciting and foundational sport! I am currently a student at Cuesta College majoring in biology. I absolutely love environmental science and marine biology as well as human biology! After high school, I even spent a year working at a veterinary hospital and volunteering at a wildlife preservation! My other hobbies include painting, hiking, kayaking, writing, and cooking. I hope to one day have a Ph.D, my own non-profit business, a home by the ocean, and many dogs and cats! But for now, I’m finding joy in the little things such as watching a child smile as they learn something new and uncover the power of their body and mind. That, I believe, makes my job and life truly unique. Hi! I’m Alexa and I was born and raised in San Luis Obispo. 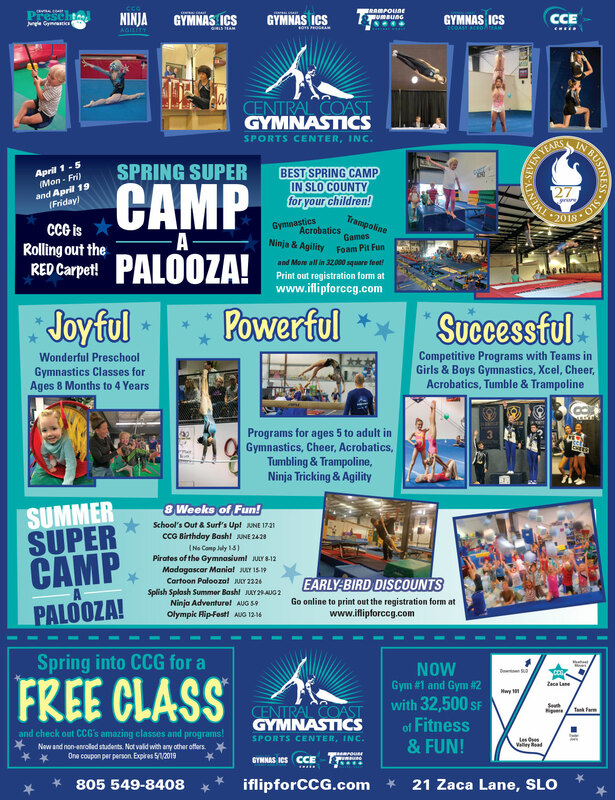 As a child, I was enrolled in gymnastics classes here at CCG! I have also danced competitively for eight years and in high school I was on the Junior Varsity and Varsity high school cheer team. I love kids and teaching. Coaching in a gym where I grew up in is such a fun experience for me! I am currently coaching preschool, cheer, and rec classes. I will be graduating in June 2016 and plan to continue my education and major in Ag Business. My name is Angela De Line and I have been doing competitive gymnastics for about 6 years. I’ve been doing gymnastics on and off since I was 3 years old here on the central coast but decided to stick with it when I was 10. I love working out, so any time I can be exercising is great! I recently decided to stop doing competitive gymnastics and start doing acrobatics. I love spending my time at the beach and being in the water as much as I can! My family is small, but amazing! I am an only child, so being on a team with such amazing people is what I love! I have had so many fun experiences here at CCG and look forward to sharing those experiences with other kids. I have been coaching here at CCg since March 2016! I was born and raised in Ogden, Utah and moved here to SLO in 2016. I competed for 4 years on a competitive AllStar Cheer Team and then 3 more years on my High School’s team where I was lucky enough to be team captain! We were really successful as a high school team, winning 2nd at Nationals my sophomore year and 1st at State my senior year. I love cheer and tumbling so much that I couldn’t stay away! I’m so excited to be able to coach the sport I love and make it as fun for my athletes as my coaches did for me! Hi! I’m Beela! I’m 17 years old and was born and raised here in San Luis Obispo! I did gymnastics competitively here at CCG for 9 years. I do events at CCG now, and I love working with the kids! It’s always so much fun! Hello, my name is Brooke! I was born in Alberta, Canada. When I was 3, we moved to California and I started doing gymnastics here at Central Coast Gymnastics. I was on the first ever Level 4 team. I competed with CCG for 7 years. During my lat year of competing, I was a Level 8, and won all around and balance beam at Regionals. I loved competing, being able to travel to cool places, meet new people, and just the whole experience and memories. While I did gymnastics, I had some great opportunities. I did one year of Jumpstart and went to a camp in Alabama. I also did T&T for a year but only competed in tumbling. I had the privilege to go to the Bela Karolyi camp in Texas at the National Training Center. I also went to All Olympia Gymnastics Center AOGC camp in LA. Through competing I’ve traveled to Oklahoma, Alabama, Virginia Beach, Texas, Florida, and all over California. I’ve always been passionate about the sport. I love working with kids and teaching them gymnastics. Some other activities I enjoy are horseback riding on the beach, skiing, hiking, and just about anything outdoors. I am currently a senior at Morro Bay High School, and I’d like to go on to Cal Poly and major in kinesiology. I started diving for Morro Bay my sophomore year and have been on the varsity team and have gone to CIF the last two years. I started cheerleading in 7th grade and continued cheering at Templeton High School. I was on the dance team for all 4 years of high school and was captain of JV and Varsity Cheer. My senior year, I was apped to be the UCA camp staff at cheer camp. After teaching camp for one year with UCA, I went on to cheer at Cal State Northridge where I majored in Deaf Studies and Special Education. Along with being on a team and the duties that come along with that, I competed a few times in the all-girl stunt and co-ed division at a few competitions in Los Angeles. After I was done with college I was hired by NCA where I taught 2 more years of cheer camp. I coached at California Gold Gymnastics and Cheerleading in Paso Robles, for 10 years and headed up their cheerleading program. After many successful years the location closed and I was hired to work for Central Coast Elite! I have had the greatest time working here and influencing the lives of students while progressing their skill levels. Hi! My name is Christine Wright! I am from Modesto, CA. I moved to San Luis Obispo and started working at Central Coast Gymnastics in August, 2014. I did competitive gymnastics until I was 16 years old, and when I quit, I knew I wouldn’t be able to stay out of the gym, so I immediately applied for a position at a gym in my hometown. I also judge competitive gymnastics and accredited through Level 8. Gymnastics has taught me many life skills and has been a huge part of developing me into who I am today. I enjoy being outdoors, and swimming in all bodies of water, from lakes to rivers to oceans. Hello, my name is Claire! I’m from Orange County, CA and I am currently attending Cal Poly, where I started in September of 2015. I love gymnastics and started classes when I was 4 years old. I have been an athlete my whole life and competed in track and field throughout my high school career. Since then, I have been coaching gymnastics for about two years. Gymnastics has been a part of my life since I was little. I love coaching gymnastics and watching the competitive sport. I was born in Orange County, CA on January 17, 1983. At the age of three my mother signed my up for gymnastics lessons and I’ve been flipping every since. I was a competitive gymnast for 10 years, eventually reaching the level of Junior Elite Class (now called Level 10). I was lucky enough to have top notch coaching, including Chinese Olympian and World Champion Li Xiaoping. Gymnastics was always a great challenge for me. I am very proud of what I have been able to achieve in this sport. I consider qualifying to the Junior National Championships the single greatest achievement of my life. I loved competing, but even as a kid I always wanted to be a coach. I have been a boy’s gymnastics coach at Central Coach Gymnastics since October 2001. I have taught all levels from Class A to competitive team. As as athlete I have learned so much about what it takes to make dreams into reality. My dream is to inspire and pass on my knowledge to young people so they can grow and become happy, successful adults. My goal is to build a competitive team and recreational gymnastics program to rival any in the state. I am proud to see the great strides we have made toward this goal. Meanwhile, I am pursuing a Computer Engineering degree at Cal Poly. Whatever the future holds for me, one thing is certain, gymnastics is in my blood and will always be a part of my life. Hi! I’m Coach Emily! I grew up here in San Luis Obispo and have been coming to Central Coast Gymnastics since I was 11 years old! I competed Level 5 and 6 for Team CCG and retired at Level 7 to become a cheerleader at San Luis Obispo High School. I cheered as a flyer for SLOHS Varsity Cheer for all four years. In 2010 I graduated from San Luis Obispo High School and I am currently studying Kinesiology at Cuesta College. 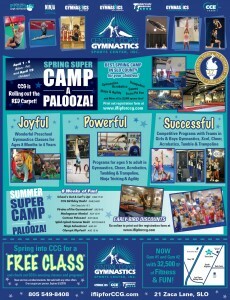 I love to coach gymnastics and All-Star Cheerleading here at CCG. I coach Level A and Level B plus the Central Coast Elite Sapphires! I couldn’t be happier to be working here at CCG and being a part of this team! Hi! My name is Isabel and I love CCG! I am 17 years old and a senior at Mission College Prep. I’ll be attending Cuesta College in the fall of 2017. I have danced ballet full-time since I was 2 and have been dancing and studying Polynesian Dance & Hula, and I am fluent in Spanish! I have lived in SLO for 6 years and I have a HUGE family! I am the eldest child of 10, soon to be 11, with the age ranging from 17 to newborn. I am using my coaching experiences at CCG to help me prepare for a career as a Bilingual Teacher. I want to teach my kids that whatever they are passionate about, they should go for it! I love working as a Preschool and Recreational Gymnastics Coach here at CCG! Hello! 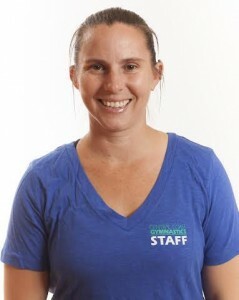 My name is Jackie and I have been coaching at Central Coast Gymnastics since September of 2015. I started my gymnastics career very early on because my mother was a gymnast and put me in a Mommy & Me class as soon as she could. After that, I was hooked and spent almost my entire childhood in the gym. I started competing in fourth grade and was on Team up until Level 7. After gymnastics I tried spring-board diving and then began my career in dance, which has been my joy ever since! 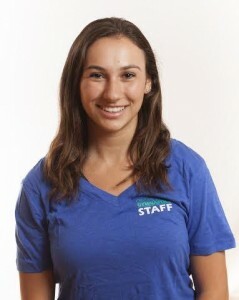 I am also a Cal Poly undegraduate student studying Kinesiology with a concentration in Exercise Science and a minor in dance. Currently, I am on the Cal Poly Orchesis Dance Company and perform in styles ranging from modern/contemporary to jazz. Although it makes my schedule a little hectic, I could not be happier being a part of this group. In my free time< i also love hiking and exploring the beautiful city of SLO. 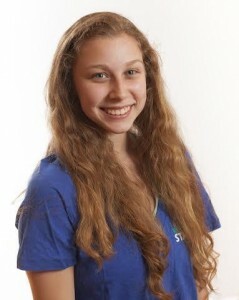 After college, i am hoping to go to graduate school to become a Physician’s Assistant. I am originally from Santa Rosa, CA, which is part of the beautiful Sonoma County up north. I have two younger siblings and my parents are both teachers! Because of this, I have grown up helping out in their classrooms and developed my love for working with children early on. I am loving working as a coach here at CCG and have truly enjoyed being a part of the gymnastics world again. 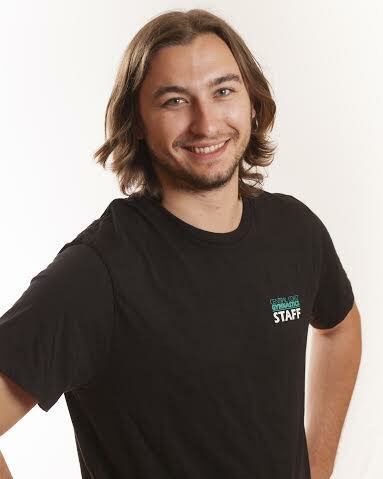 Hi, I’m Jared and I’m a coach here at CCG! I played football and baseball in high school at a private college prep high school in Sacramento, CA. Over the years I have gone to open gyms and am now cheering for the California AllStars. 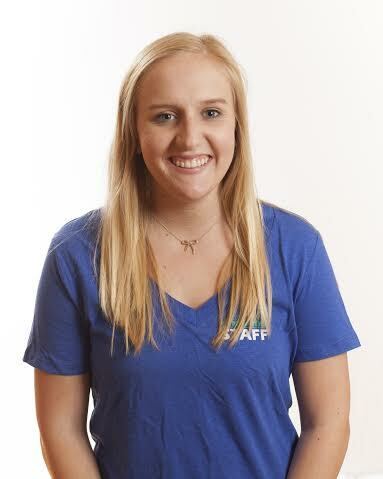 I’m currently a student at Cal poly and am excited to be working here at CCG! Hi everyone! 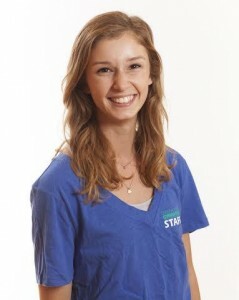 My name is Jenna, and I am an Agribusiness Major at Cal Poly, originally from Cottonwood, CA. For as long as I can remember, gymnastics has been a part of my life. I started dancing at the age of 3 and quickly transitioned into gymnastics around the age of 4. I continued doing dance and gymnastics for the next 8 years. In high school I began cheering, and this brought me back into the gymnastics world as a tumbler. I cheered and did gymnastics for 3 more years, until a knee injury prevented my from continuing. I am so excited to be reentering the world of gymnastics as a coach now. I can’t wait to meet you all and watch you grow! Hello, my name is Jonathan, and I’m the new Developmental Boys Coach (Classes A, B, C, & Levels 1, 2, & 3). I have competed with Central Coast Gymnastics for over 10 years, finishing me senior year in Level 10. I have just graduated from SLOHS (Class of 2015) and am now attending Cal Poly as Business Major. I play acoustic guitar/bass and am part of the Optional Boys Team original band (started in 2013) called “Cabin 3b.” We have performed at National Gymnastics Day and Indulgence for CCG and have even hosted our own concerts. Outside of gymnastics I enjoy swing dancing at Madonna Inn every Monday night, partaking in adventures on the weekends and smiling every day. Hi, I’m Kara and I am so happy to be a coach here at Central Coast Gymnastics! On February 18, 1995 in Elk Grove, CA, I became the baby and the only girl of my family with three excited boys. As I grew up, I was involved in gymnastics, dance, diving, and swimming, but gymnastics always held the top spot in my heart. Gaining the nickname of “Gym Rat,” because of my many hours spent at the gym, I was lucky enough to start training to coach. At the age of 12, I started teaching some of my own classes and haven’t stopped yet. I participated in cheerleading in high school and graduated in 2013. Coaching gymnastics helped guide me in my direction for my future career. I accepted admission to Cal Poly as a Liberal Studies major to become an elementary school teacher. I was fortunate enough to continue my participation in gymnastics and make Central Coast Gymnastics my home away from home. Here, I enjoy coaching everything from preschool to recreational to team. I hope to give every child the opportunity to fall in love with gymnastics as much as I did! Hi! My name is Kelsey and I am from Danville in the East Bay. I have been coaching gymnastics in the Bay Area for the last 3 1/2 years. I recently moved down to SLO to begin my Freshman Year at Cal Poly, majoring in Liberal Studies. I hope to become an Elementary School teacher after I graduate. I practiced gymnastics from when I was 4 years old until I was 16 years old. I absolutely loved everything about the sport, especially floor and bars, which is why I decided to begin coaching once I turned 15. Aside from gymnastics, I enjoy baking, spending time with friends and family, hiking, going to the beach, and rock climbing. I also do a lot of babysitting and tutoring in my free time. 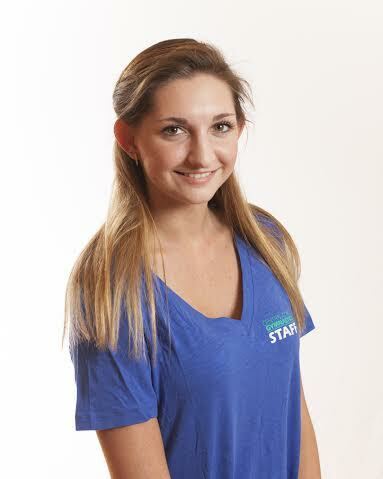 I’m a student at Cal Poly, from Redding, CA and am majoring in Liberal Studies with minors in biology and Spanish. My favorite color is lavender and I love ice cream! I have competitively cheered for 12 years and have always loved the excitement of gymnastics! My favorite part about cheerleading was the tumbling, and now I have the awesome privilege of coaching kids just like me! 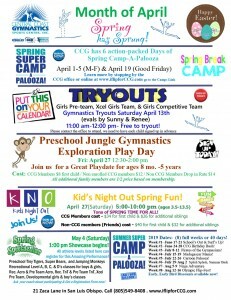 I coach Preschool and Events here at CCG and I absolutely love it! I grew up in the Bay Area – Cupertino, CA, and just recently moved to San Luis Obispo to attend Cal Poly. I’m majoring in Kinesiology with an emphasis on pre-physical therapy. 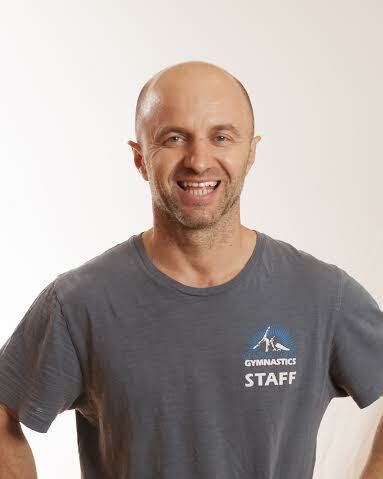 I have been coaching gymnastics for three years,and I have been coaching at CCG since about January 2016. I currently coach Level D, Hot Tots, T&T, Pre-school, and Girls Rec Classes. I was a competitive gymnast growing up for 14 years before I started coaching. Other than gymnastics, I love to ski, go on hikes, go to the beach, or ride my bike. My favorite place to spend time (other than anywhere in San Luis Obispo!) is Lake Tahoe! Hi, my name’s Siena and I have been a gymnast here at CCG since I was seven years old and now I am so excited to be a part of the staff! I go to Arroyo Grande High school and next year I’ll be attending Cal Poly! My goal is to teach elementary school someday. Besides gymnastics, I also really love training and music. I have been to 11 countries and some of my favorite places include Paris, Rome, and New York City! For music, I have taken lessons in several different instruments but my favorite is most definitely piano, which I have stuck with since I was nine! Gymnastics has been such a huge passion of mine for so many years and I can’t wait to share that passion with kids at CCG! I have been involved with CCG since I was about 8 years old. I did recreational gymnastics until I was about 12 years old and then decided to switch over to cheerleading here at Central Coast Elite when I was 13 years old. I was also involved with dance from when I was 4 years old to 12 years old. I carried on my love of cheer into high school and had the honor of being on the Varsity team my freshman, junior, and senior years. I also had the pleasure of being the Varsity captain my senior year of high school, which was such a great experience and I will take it with me my entire life. I continues on to go to Santa Barbara City College and had the opportunity to cheer for them for one semester. It was such a great experience being able to cheer at a collegiate level and meeting new girls who helped make my freshman year of college so unforgettable. Being part of the Central Coast Gymnastics staff is better than I ever could have imagined. Everyone is just one big family and I love that I can go to anyone for anything, no matter what. I grew up in this gym and being able to now be a part of the staff that helped shape who I am today is just so humbling. I am proud to be a part of this company and would not want to be anywhere else.